Hiking is a perfect activity to enjoy alone, with friends or family in the Winter and you can avoid the snow. It is also ideal for shedding Winter blues, breathing in the crisp air of the countryside and seeing stunning landscapes in a different light, the light is different. If this all sounds appealing, then read on and discover some of favorite US Winter hikes for everyone from casual walkers to seasoned hikers. 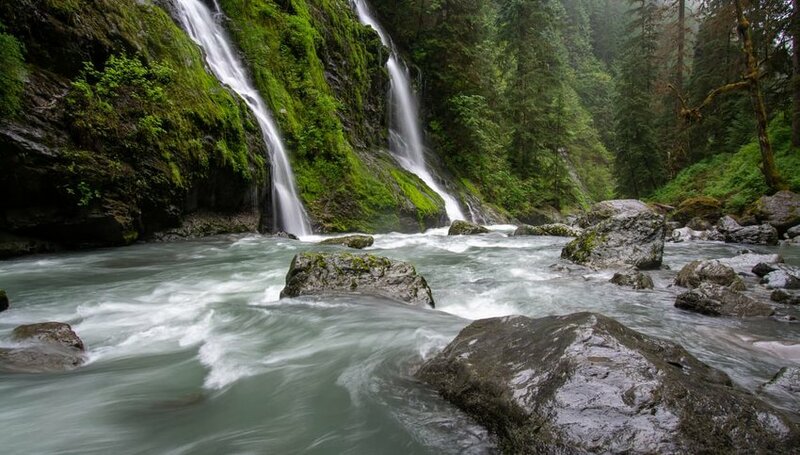 Within Mount Baker-Snoqualmie National Forest, the Boulder River Trail is a gentle and relatively flat 8.6-mile loop trail suitable for hikers at all levels. Grand fern trees line the trail and moss hangs like rain from rocks. Spot waterfalls through cracks in the trees and stop at lookouts to watch them tumble down a sheer canyon. During extremely cold temperatures, the waterfalls freeze and mushrooms break through a carpet of soft snow. Bring a lunch, a thermos with a warm beverage and have a picnic of sorts. Most of us are familiar with this region in Florida because of the Kennedy Space Center at Cape Canaveral. 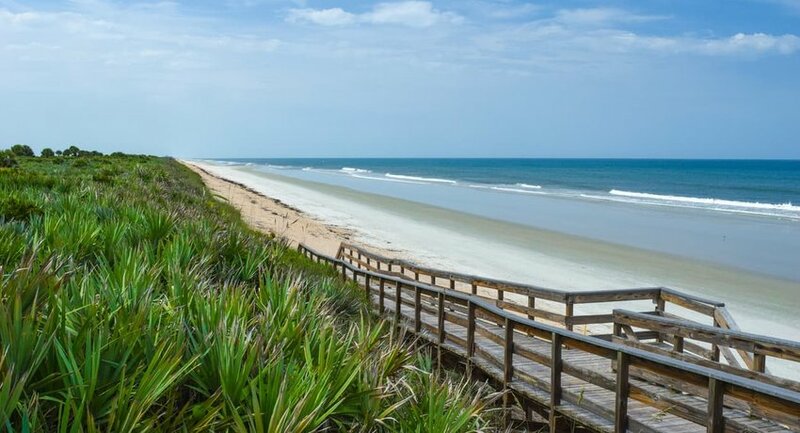 But just north is Canaveral National Seashore, a tranquil barrier island that is a natural habitat for fascinating wildlife. Here the sand dunes rise up on 1 side of a long sweep of golden sand as rolling Atlantic waves crash onto the shore. Spot migratory wading birds and waterfowl at the lagoon and keep an eye out for the endangered Northern Atlantic right whale. Be sure to time your visit well and you may witness the sound of a rocket launch momentarily interrupting the solace of the seashore. Head to this Alaskan national park for a challenging hike in extreme weather conditions and breathtaking scenery. Throughout the Winter season the Harding Icefield Trail is classified as a mountaineering route, thus is recommended to experienced hikers only. 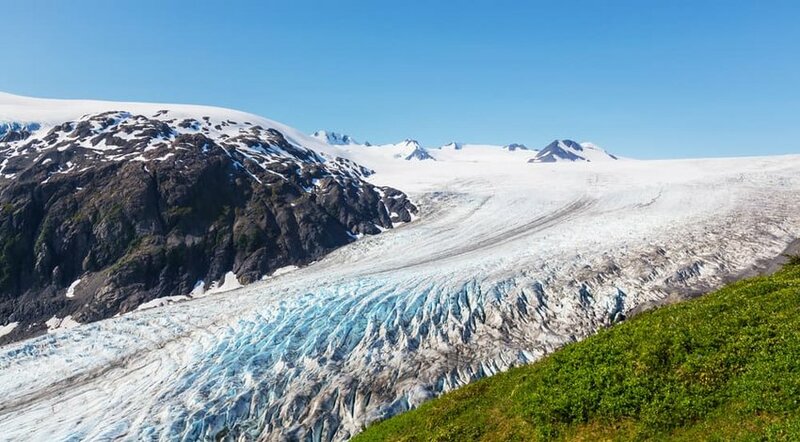 The reward for tackling this 8.2-mile loop track is uninterrupted views of Exit Glacier and a far-reaching ice field interspersed by the occasional peak. Stick to the trail, bring climbing equipment and check before leaving for avalanche warnings. And watch out for the free-roaming black bears, too, they bite! 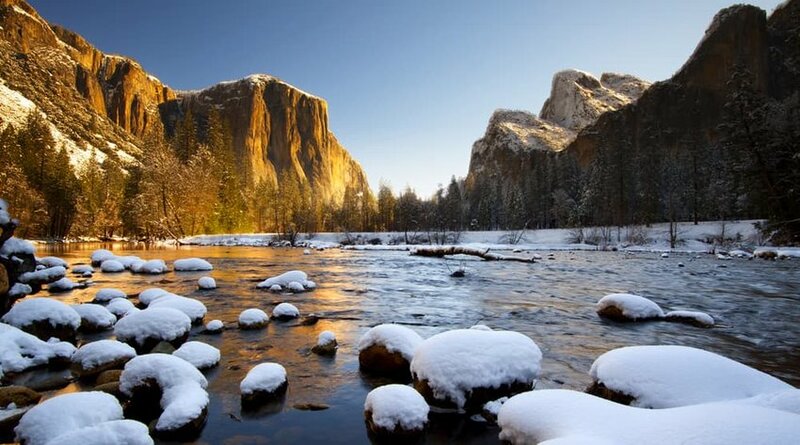 When everyone else is making their way to Yosemite’s ski area, grasp the opportunity to stretch your legs in the park’s fairy tale snow-covered environs. Mirror Lake Trail is an easy and ideal-for-all-ages round trip that’ll take up to 3 hrs, depending on how far you go. It is worth it alone for the views of Half Dome rising above the lake and pine trees. There are lots of other things to in this area of the park such as walking to spectacular waterfalls like Bridalveil Fall and Vernal Falls. Texas can be really hot during the Summer, but go there in the Winter if you want to hike in the state’s barren desert landscapes in more comfortable temperatures. The South Rim Loop is great if you are not keen on tramping through snow, because here there is none. It is a 12 to 14.5 mile strenuous trip so plan an entire day to complete it or break it up by camping overnight. Along the path you will ascend the Chisos Mountains, from where you can watch dazzling desert Sunrises and Sunsets.